St John’s Wood continued to have a good number of schools, some dating back into the previous century and others founded later, nine of which are still operating. is perhaps the most famous. It was founded in 1875 in Bridgeman Street, just off the High Street, and is still operating there (see separate entries). which was founded by Miss Hanson in 1905 with just 9 pupils and is still operating (see separate entry). was founded in 1886 by Quintin Hogg, grandfather of the mid-20th-century politician of the same name, as the Polytechnic Secondary School, part of Regent Street Polytechnic It was named the Polytechnic Boys’ Day School from 1886–1919 and was a voluntary aided school. In 1892 the school split into separate commercial and technical schools but in 1919 Percy Abbott became Headteacher and re-united the two schools. Having overseen wartime evacuation, in 1944 successor Bernard Worsnop went on to gain grammar status for the school renaming it The Quintin School. 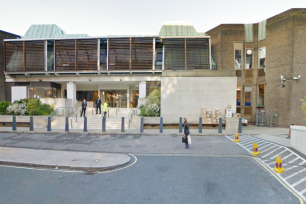 A new building in St John’s Wood was constructed to end a dozen years of ‘temporary’ accommodation. 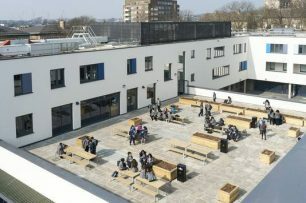 Paddington Secondary Technical School, which dates back to the 1920s, moved into new buildings next door to the new building, to become Kynaston Technical School. At last, more than a decade after the end of the war, a site was found in St John’s Wood. Some 3km north of the Polytechnic building in Regent Street, a complete block was cleared and four new schools built, side by side, alongside the A41 Finchley Road. George Elliot Infants School for 5-7 year olds was built at the northern end of the site adjacent to Boundary Road. Next came George Elliot Primary School for ages 7-11 and then two large secondary schools: Kynaston Technical School (11-15) and The Quintin School (11-18). There was ample space for grass areas with flowers and trees, footpaths and playgrounds. The school was renamed Quintin Kynaston School in 1969 after Sir Kinston Studd OBE, a former president of the Regent Street Polytechnic, and one time President of the Polytechnic Institute. 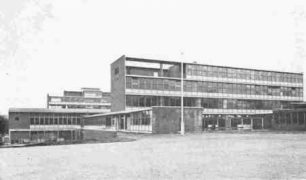 It was a boys’ comprehensive school when the school merged with the next-door Kynaston Technical School, known as the Paddington Secondary Technical School before 1956. In 1976 Headteacher Peter Mitchell admitted girls for the first time. In 2001 Quintin Kynaston gained specialist Technology College status and 7 years later became a foundation school. However in 2011 Quintin Kynaston converted to an academy. And in 2014 they commissioned the firm of architects, Van Heyningen & Haward who have worked on numerous projects for schools, colleges, hospitals, museums, railway stations and many more, to rebuild the school. 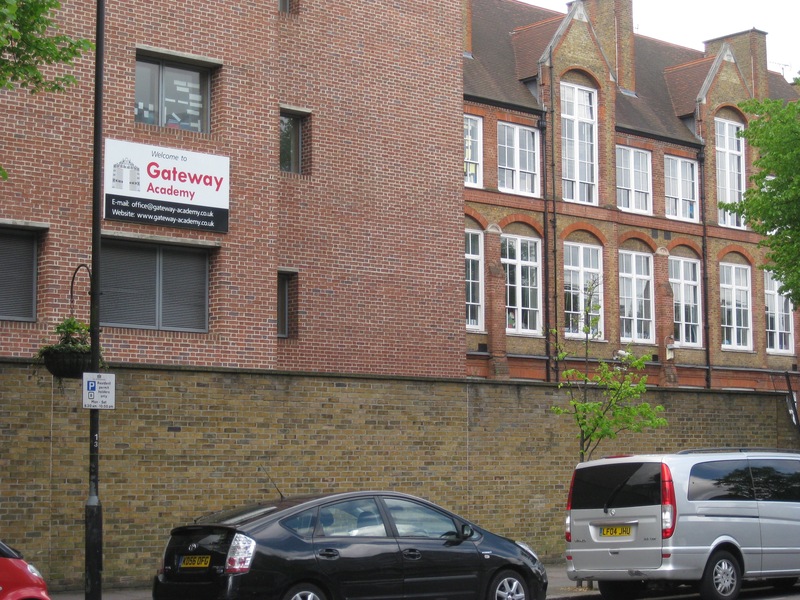 an independent Catholic school which was established in 1949 at 25 St Edmund’s Terrace. 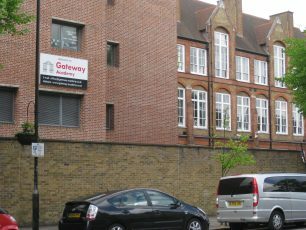 The primary school was a combination of Gateforth and Cosway schools both in Marylebone – hence the name – and opened first around 1963 in the building previously operating as The Regent’s Park Secondary Modern for Girls – as two schools; a Junior with Miss Fox as Head and Miss Murray as Head of Infants. The schools were combined as one about 1967 and have gone from strength to strength ever since and continue to do so with Louisa Lochner in charge. is a British independent prep school for pupils aged 2 to 13 years, divided across several locations in London. Its main administrative centre is at 28 Abercorn Place, St John’s Wood. It was opened in 1987 by Andrea Greystoke with only 42 pupils, and has gradually expanded in reputation and size to 400 pupils. Abercorn’s youngest pupils (2½ – 6½ years) are housed in a Grade II listed mansion, the home of the Victorian landscape artist, John O’Connor who used the school hall as his private studio. (The studio house has his initials over the door). 30 Abercorn Place, also part of Abercorn School, was occupied in 1884 by the artist, Sydney Starr,who painted in the Impressionist style. He later moved to the States. The Middle School (7½ – 9½ years) is in the Grade II listed premises of the former St Marylebone Grammar School, and the Abercorn Upper School (9½ – 13 years) at 38 Portland Place. an international private independent school for students between 4 and 18, was founded in 1951 and after several moves, came to St John’s Wood in 1971 into a custom-built building at 1 Waverley Place, on the site of a Gothic house built by Bram Stoker, the author of “Dracula” for his sister. It is the oldest American school in the city and the majority of students hold American citizenship. In September 2000 the school opened a new High School wing, which included a new gym, art studios, computer labs and a renovated library. Since 2007 the school has include a 450 seat theatre as a teaching and performance space. In 1901 there was a boarding school at 10 St John’s Wood Park. 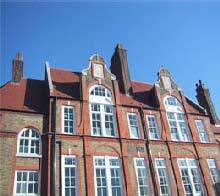 In the 1930s there was a Maria Montessori School at 134A Abbey Road, which Roger Raphael, the son of Mark Raphael, the violinist, attended before going on to Selwyn House Preparatory School. This school was evacuated during WW2 to Tenby, then in 1946 to Begelly. Other pupils there included Ted Dexter, the English and Sussex cricket captain, and George Cole, the actor of Arthur Daly fame. 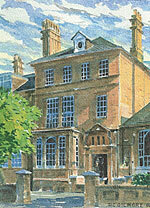 Mrs McCaffrey’s preparatory school at 2 Langford Place was operating in the early 1950s and into the 1960s. (see separate entry). In the 1960s there was a nursery school at 29 Circus Road run by the Marriotts. On a recent visit back to the wood I was astounded to see they had demolished my old school Kynaston, and Quinton as well, sad.